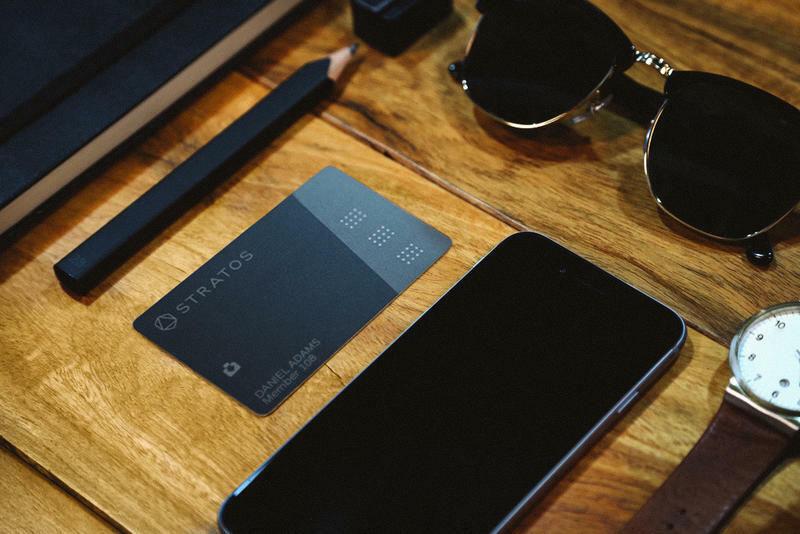 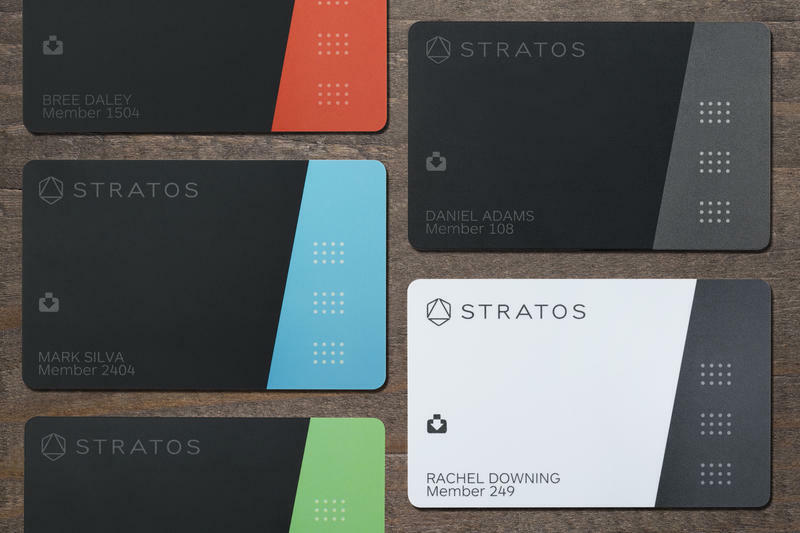 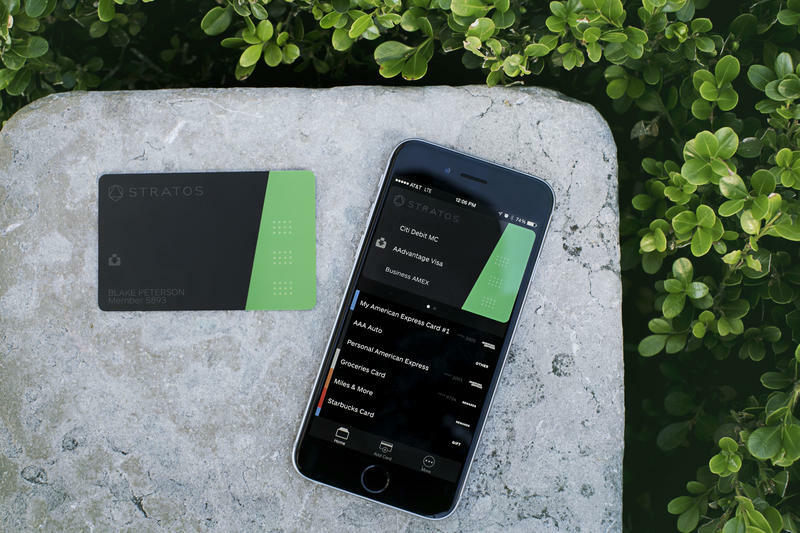 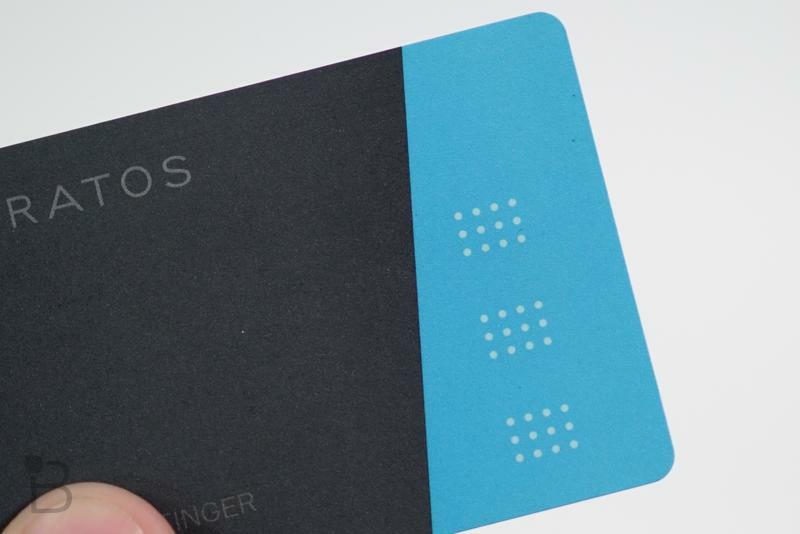 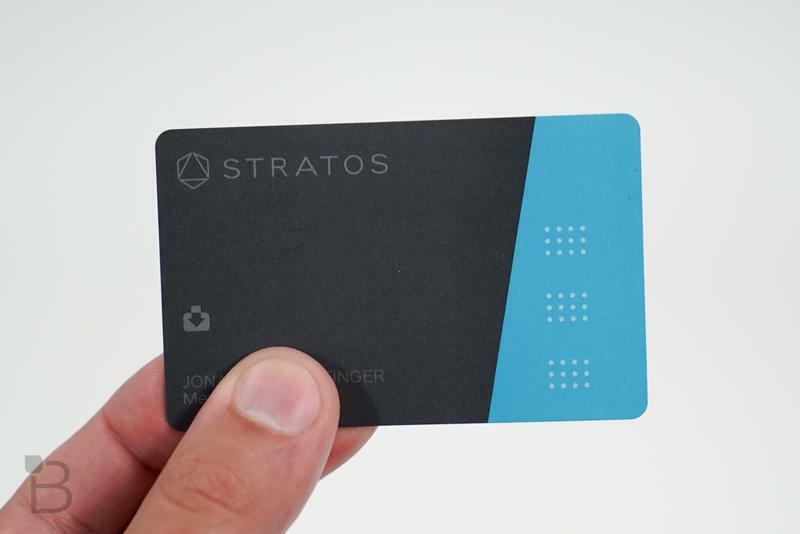 Stratos Card: Is this the smart card to beat? 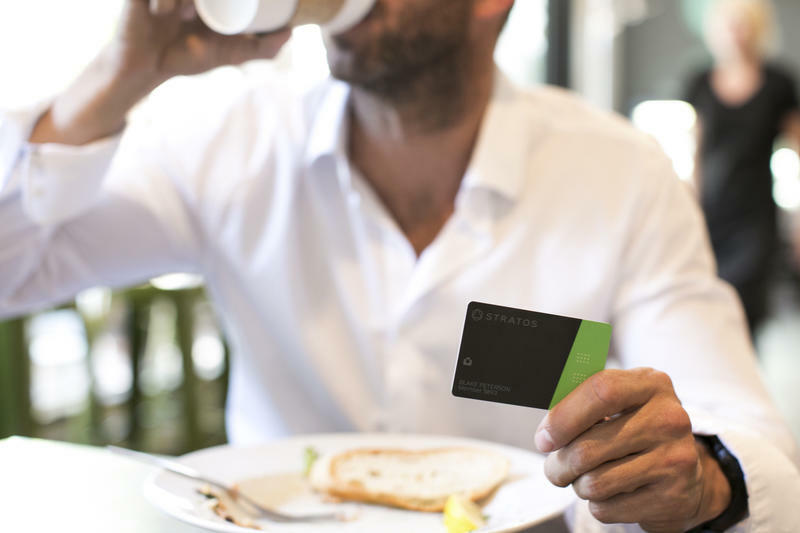 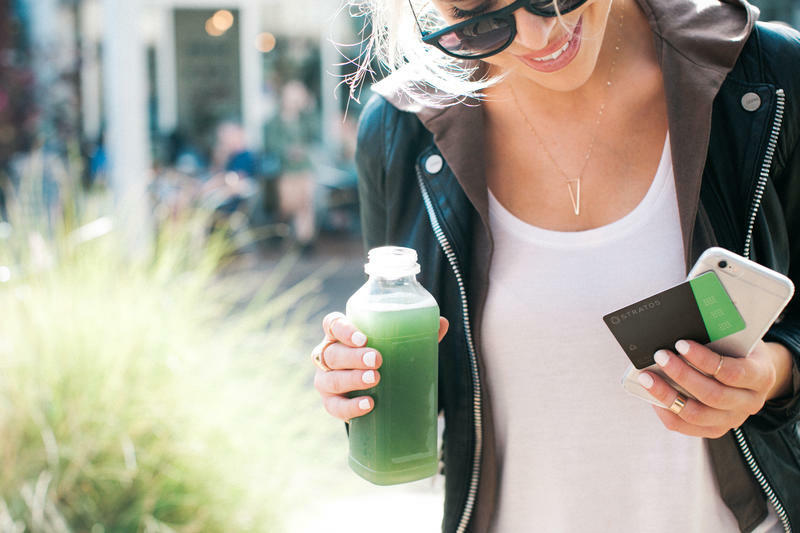 We gave Coin a spin, and now we’re on to the next big all-in-one smart card. 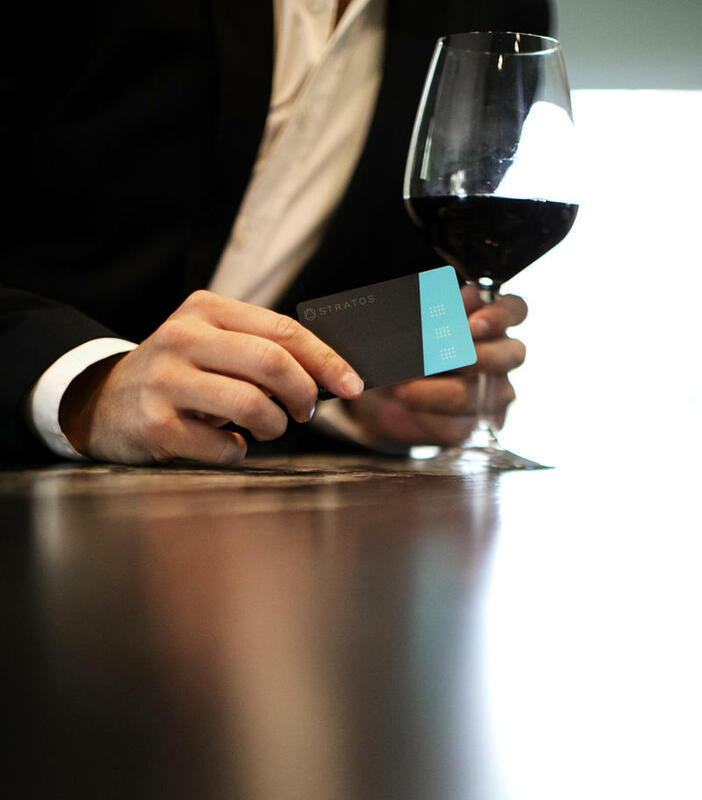 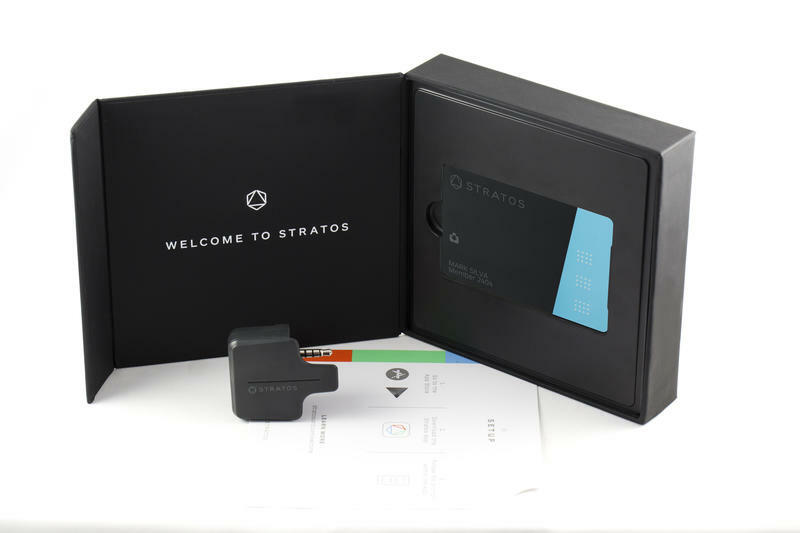 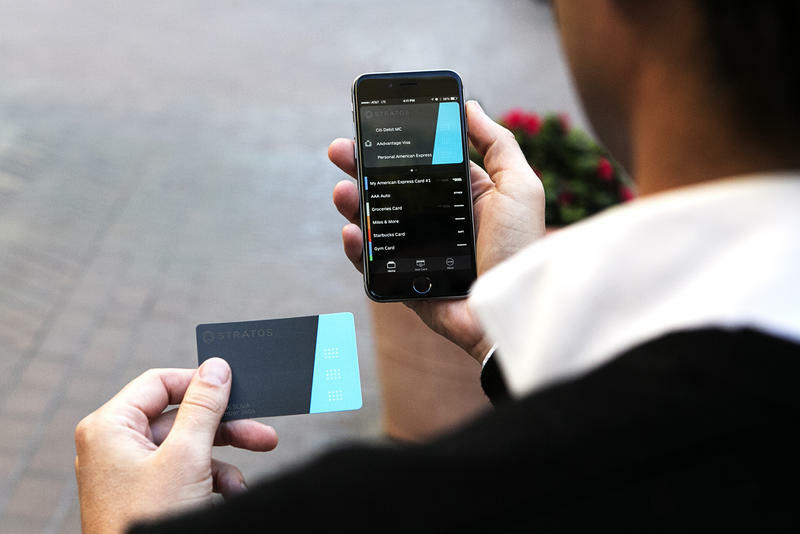 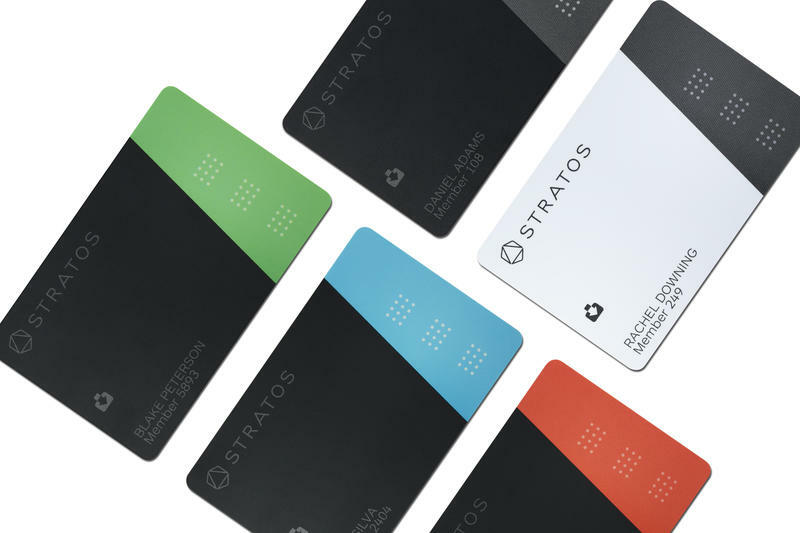 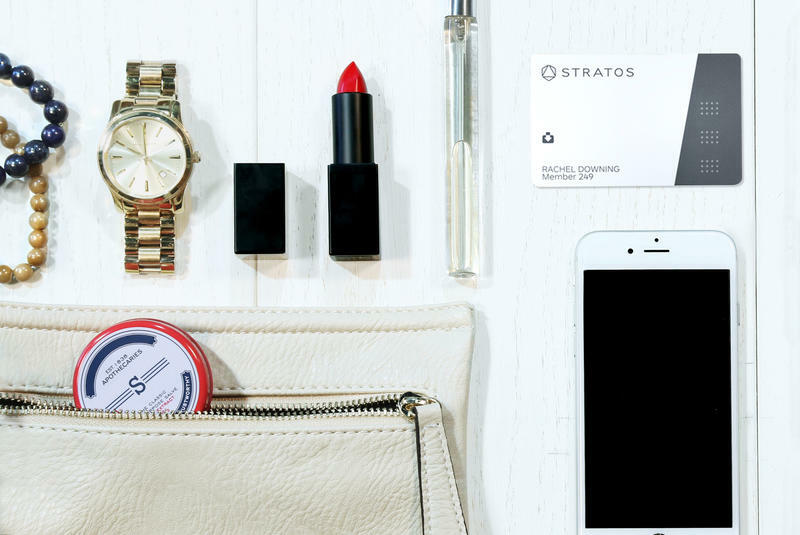 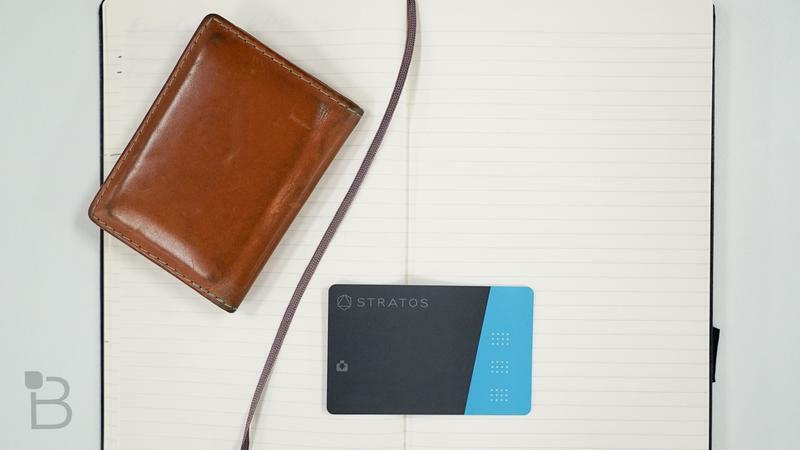 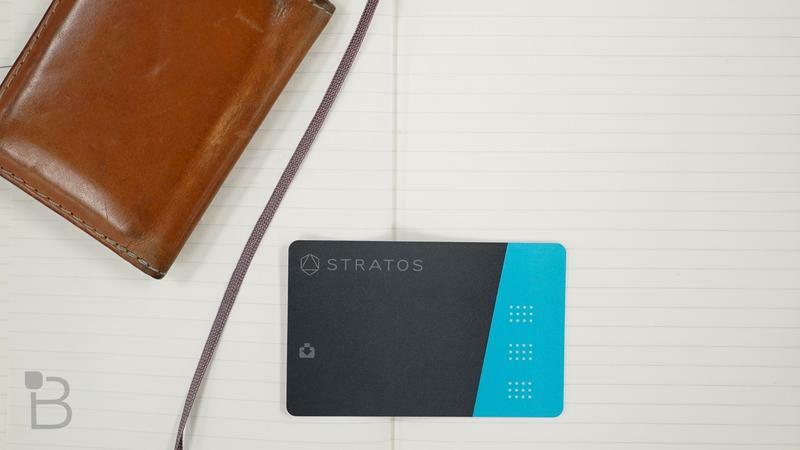 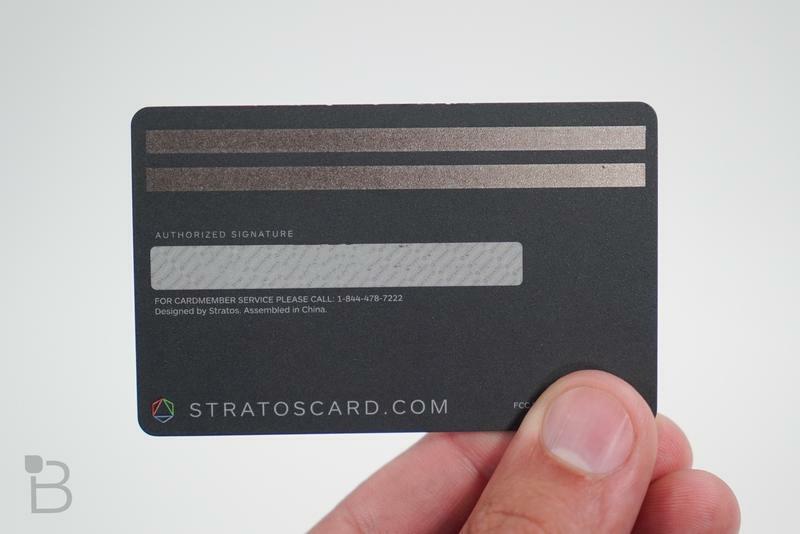 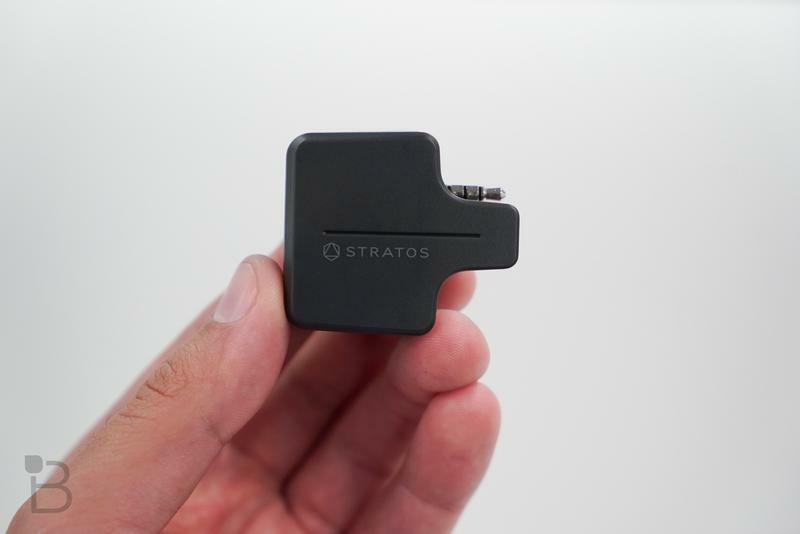 Stratos offers users the ability to consolidate their different cards—credit, debit, loyalty, gift and membership—into a single piece of plastic. 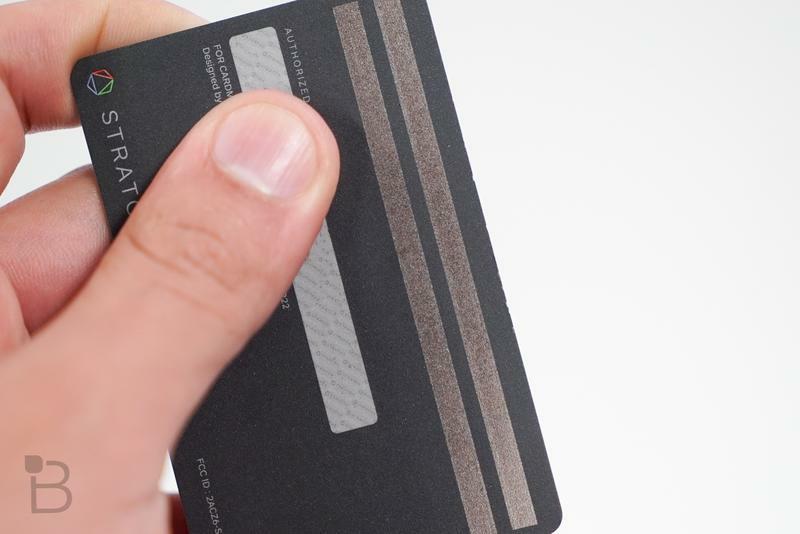 That not only makes using them more convenient, but it seriously cuts back on wallet budge. 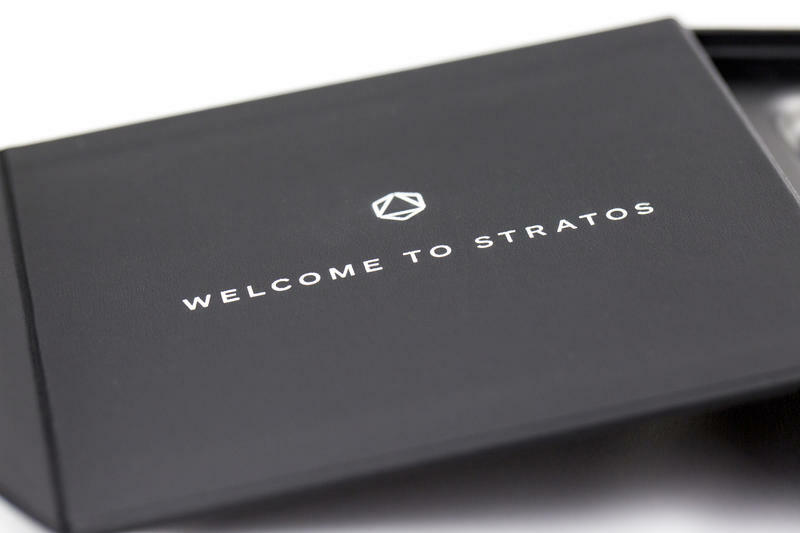 But while the approach of Stratos might bring up comparisons to Coin, the execution is a bit different. 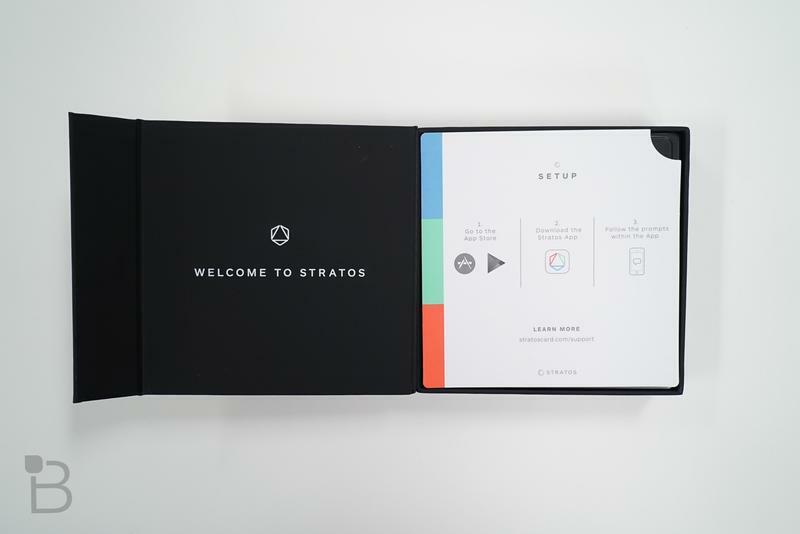 And, so far, the experience has been terrific. 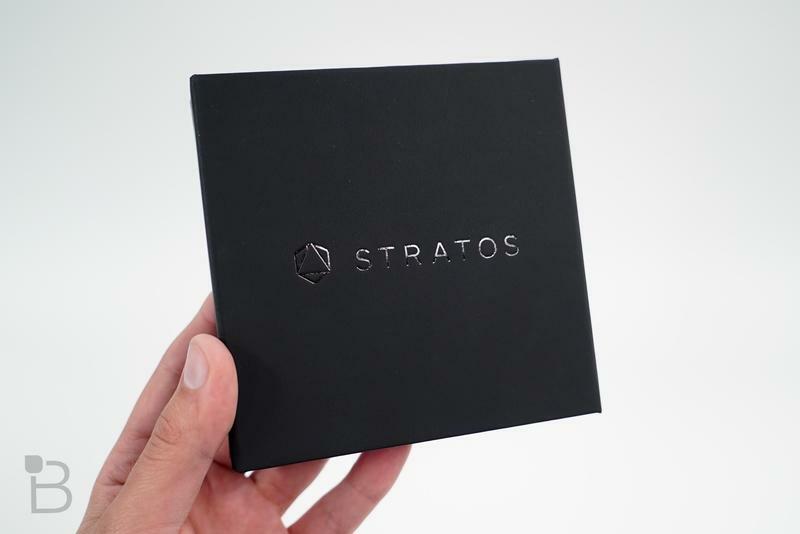 One of the main differences compared to Coin is that Stratos will get smarter the more you use it. 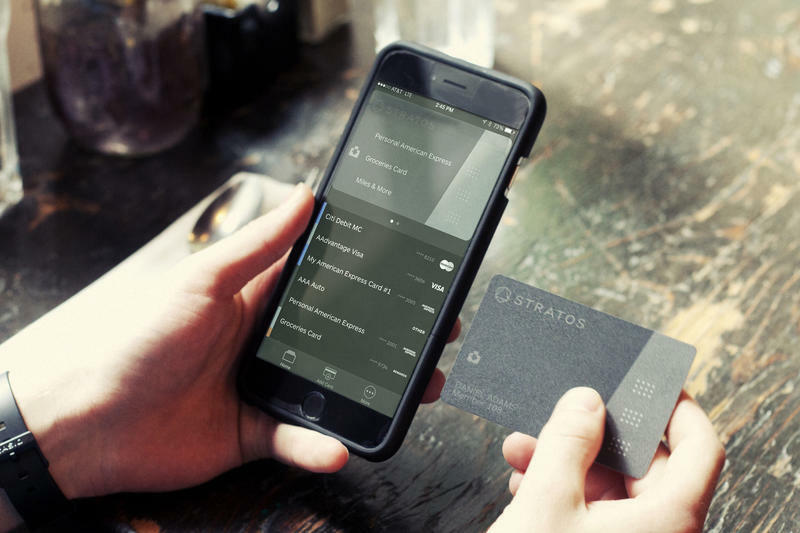 Using a double tap method, Stratos will show you card suggestions based on your current location. 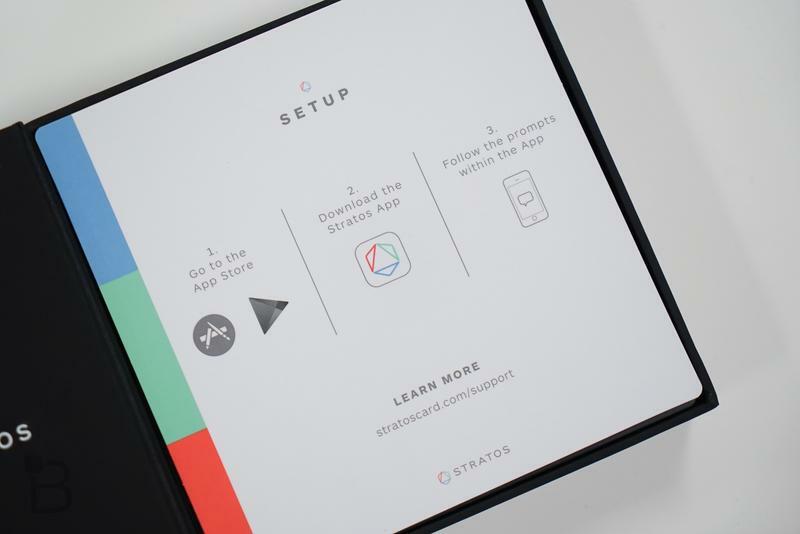 If you’re at a gas station, for example, just double tap Stratos on your phone, and the app on your phone will make a suggestion. 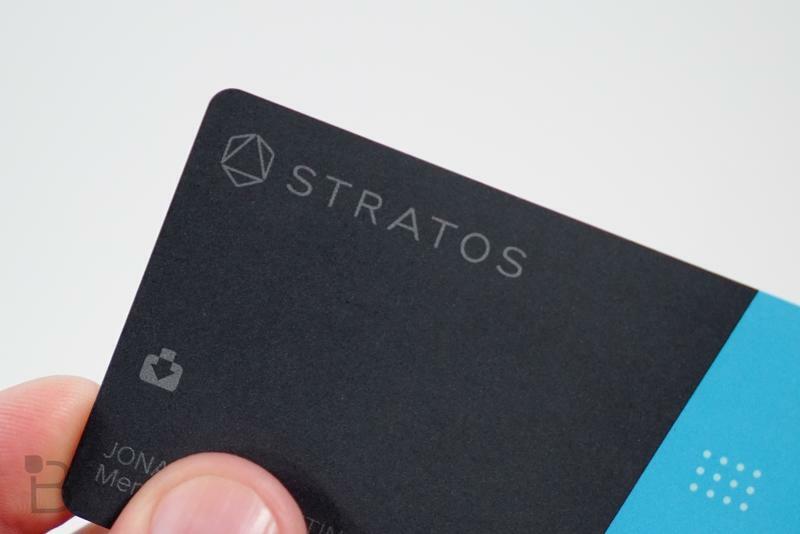 And if you don’t feel like using your phone, Stratos features touch sensors to easily access your top three cards. 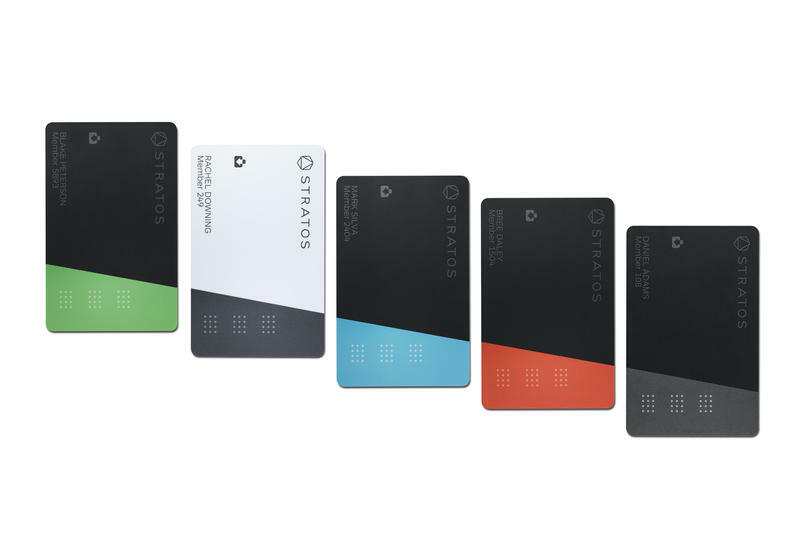 To organize your cards with Stratos, simply open the app, and slide your different cards using the included accessory. 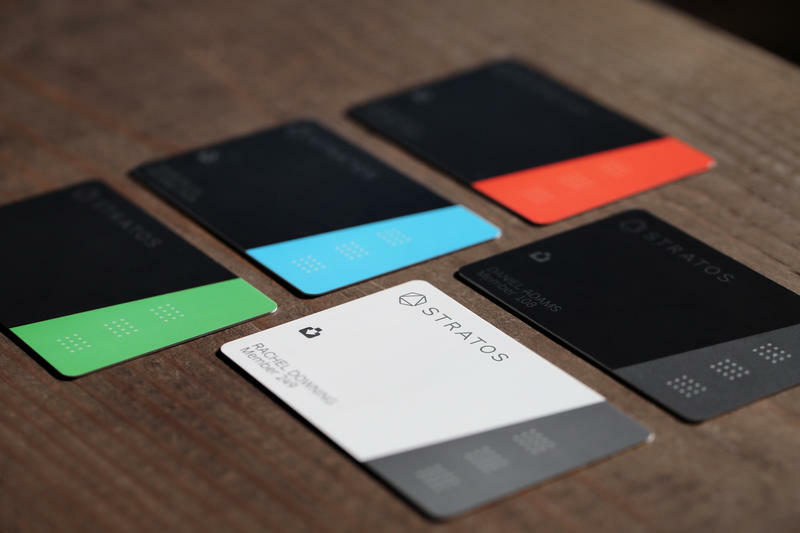 Once your cards are connected to Stratos, the company promises its technology will actually be safer than the cards in your wallet because it uses bank-level encryption. 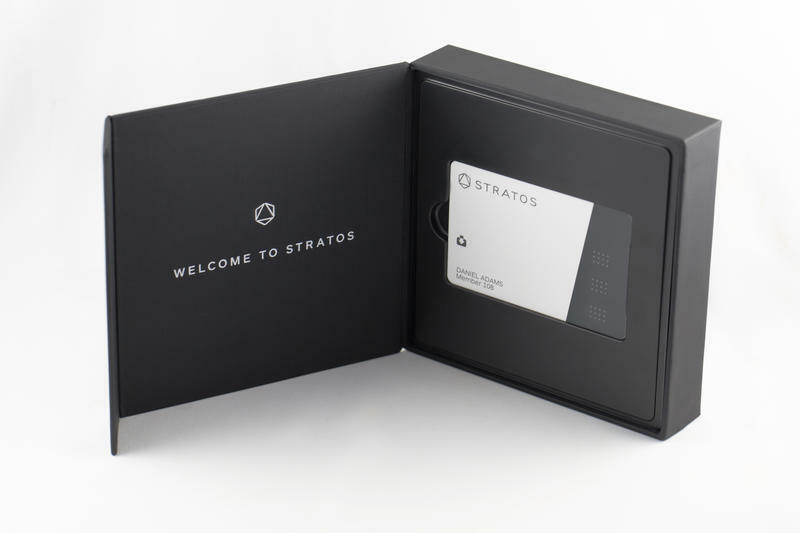 Your card numbers will never be displayed, and if Stratos is ever lost or stolen, it’ll be locked down. 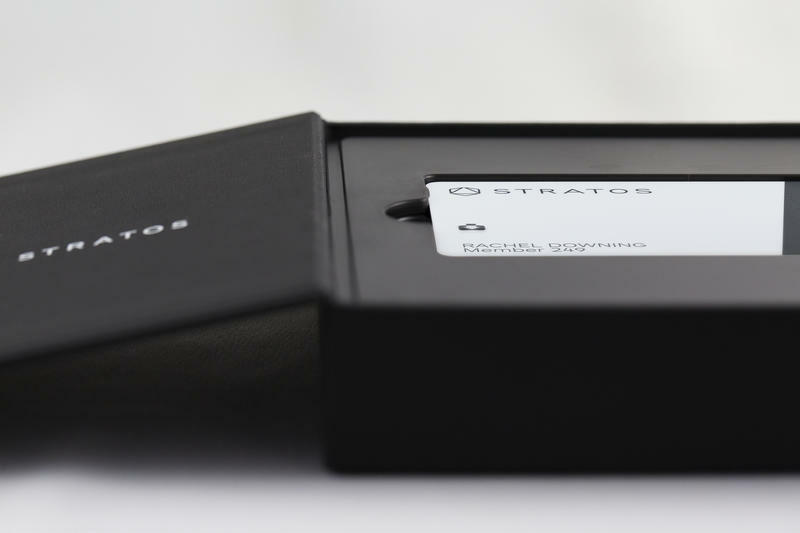 Stratos will get better, too. 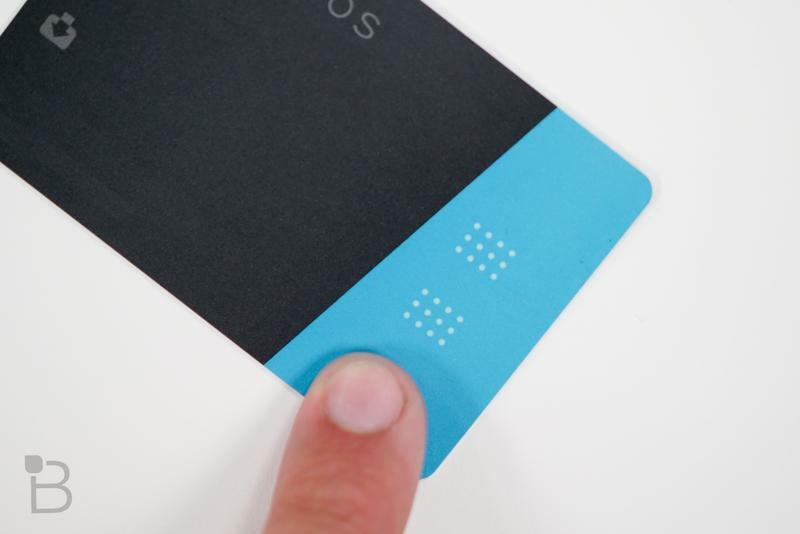 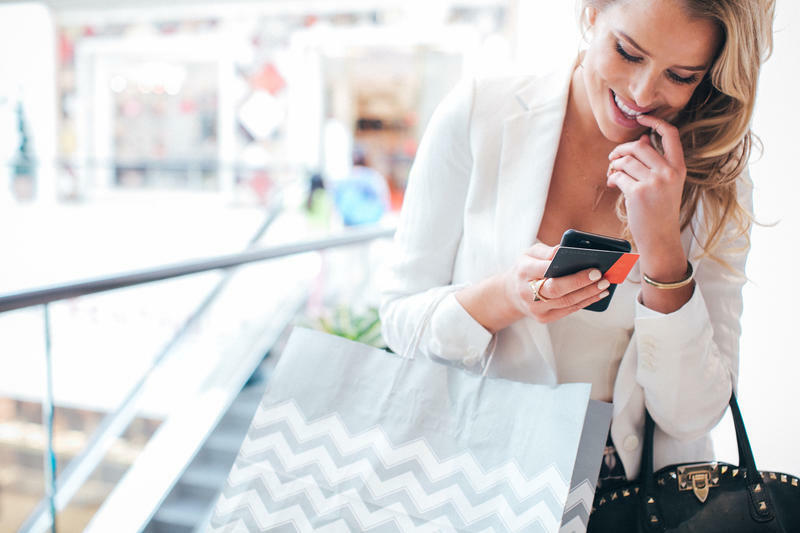 In future updates, users will be able to take advantage of EMV contactless payments, fingerprint security and more. 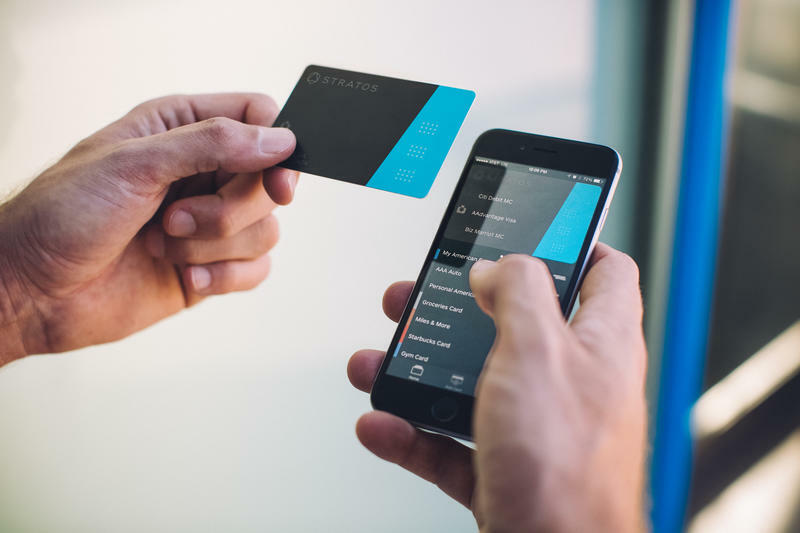 It’s a lot like using a digital-based service, with the assurance that you have a physical piece of plastic that can be swiped. 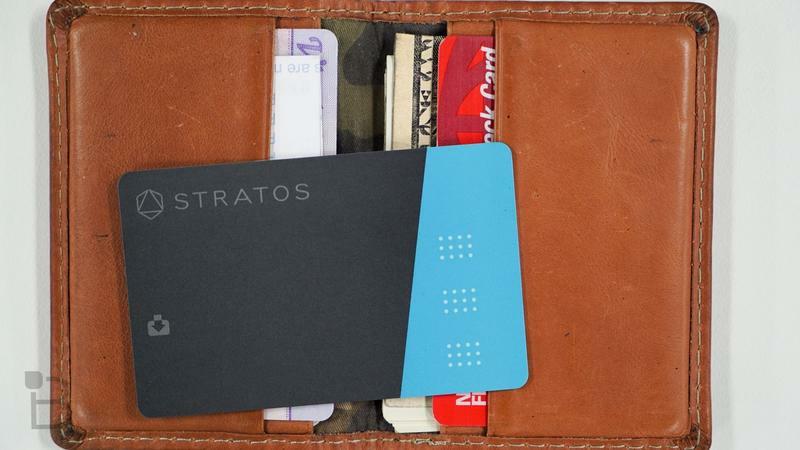 Stratos is offered in five different colors, and costs $95 per year. 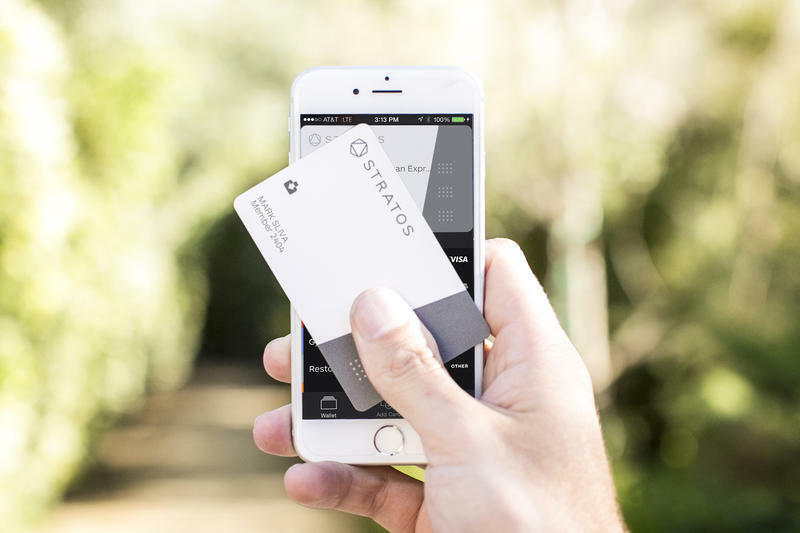 If you sign up to reserve your Stratos card now, the company says you should receive yours by November 2015; both Android and iOS phones are supported.